RECOSI is a premium reseller of quality refurbished laptops, desktops and IT equipment sourced from global corporations and government departments throughout the Europe. We are proud to operate as a top tier quality refurbisher & ethical reseller of second life computer equipment. 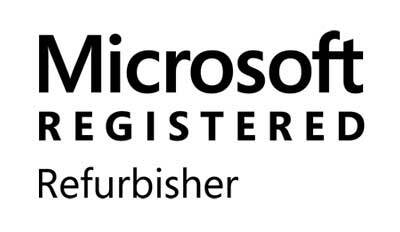 Working closely with Microsoft for many years, we provide professionally refurbished equipment with genuine Microsoft Licenses. This means all items will have a completely legal copy of Microsoft Windows 10 software installed on the device where applicable. RECOSI’s goal is to offer high quality Tier 1 products (Dell, HP, Lenovo, Apple etc) to non-profit organisations and other relevant end users that qualify through our technology access scheme. This service enables significant savings for our customers and helps bridge the digital divide by providing access to good quality, low cost IT equipment and making it available to marginalised and low income groups. By refurbishing IT equipment RECOSI is extending the life span of products through reuse and preventing them ending up as waste at landfill. Compared to recycling, reuse conserves the embodied energy and water which are consumed in vast quantities in electronics manufacturing. By working with RECOSI you are not supporting only the environment but also social economy as you are supporting the sustainable and meaningful employment of people with disabilities. RECOSI established a strategic partnership with Techsoup Slovenia, Techsoup Italia & Tech Trust in the UK (all partners of the global Techsoup network). Through their network we supply high quality and refurbished IT equipment at significant low costs to schools, non-profit organisations and charities. Tech Trust is the UK partner for TechSoup Global operating their donation programme under the TT-Exchange programme.